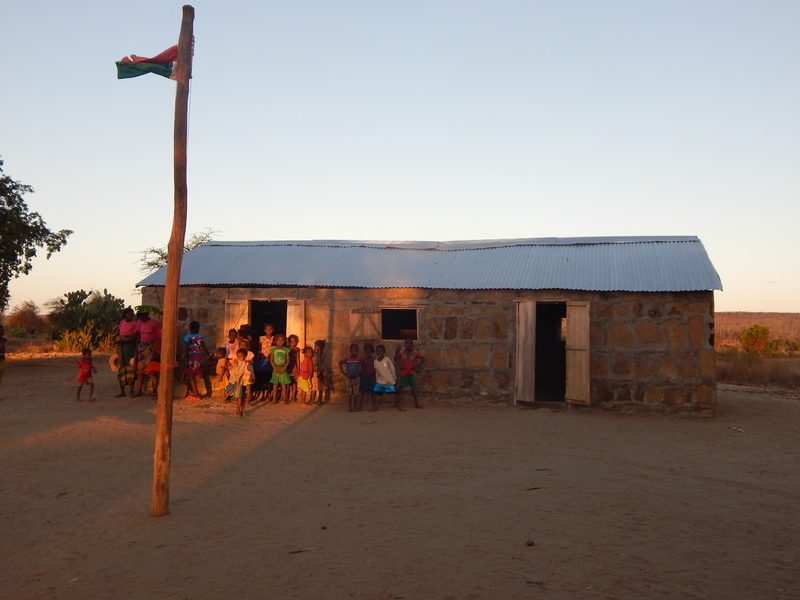 Construction of a primary school has been the highest priority for villagers in Ampitanabo, located on the southwest boundary of the Reserve. ESSA and Madagascar National Parks facilitated construction through a partnership with the Australian NGO, PAW Madagascar (Project for Animal Welfare-Madagascar). Villagers made a big contribution, collecting local materials (rubble and sand) for construction and providing labor. Construction is now completed, and the school program will start later this year.